Beamsville, Ont. – December 4th, 2017 – At the age of 15, the excitement about sitting behind the steering wheel of car is just beginning. The countdown to driving begins. For Trevor Wright though, being in the driver’s seat is just another day at the office. The only difference for him is that he gets to drive faster than any driving instructor would allow. In 2017, Trevor completed his first full season in the very competitive DIRTcar Sportsman division at Merrittville Speedway. Racing against some of the toughest veterans in the region, he collected one heat win and five top ten feature finishes enroute to an impressive 9th place position in the final point standings. Not only did the young driver grow in physical stature, but his poise, character and ability also grew during the rigors of the long race season. He added to his experience by competing in post season events at both Brighton Speedway in eastern Ontario and Ransomville Speedway in western New York State. Both weekends proved to be valuable and rewarding as Trevor drove to a pair of top 15 finishes against the best Sportsman competitors in the northeast at Brighton’s Applefest Shootout Weekend. He then ended the year with top ten at Ransomville as he piloted his car to an 8th place finish. At the Merrittville Speedway Awards Banquet, Trevor was honoured for his accomplishments as he was named the Sportsman division Rookie of the Year. The Trevor Wright Racing team was also presented the Best Appearing Car award. It was an acknowledgement that the team was very proud to be given. “We are always striving to make sure the car looks clean and professional for our partners and our fans” said Trevor. “It is nice to have the hard work rewarded”. The team is currently hard at work making improvements to the car and adjusting the cockpit to Trevor’s growth. Preparations for next season have already begun with the intent to give the team a strong start to the 2018 season. 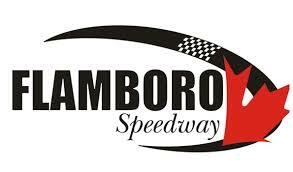 Along with competing weekly at Merrittville the intent is to travel to several Sportsman tour events across the province of Ontario and New York State. In order to accomplish the goals set and continue to drive towards being a championship contender the team is seeking additional marketing partners. Companies that are interested in promoting their brand with one of dirt racings youngest and most impressive up-and-coming stars is encouraged to contact Trevor Wright Racing to obtain the teams 2018 Sponsorship Proposal. Trevor Wright Racing would like to thank all of its partners, crew members and fans for the support during a very successful 2017 season. Trevor Wright Racing is supported in 2017 by Central Fabricating & Welding, Alexander Awnings, Harmony Jewellers, Designed Wright, Laurcoat Powdercoating, All-Source Heat Treating, RAG Rentals, Raydance Homes and Family Pizza & Shawerma.